Happy Monday! I hope you had a fun and relaxing weekend! 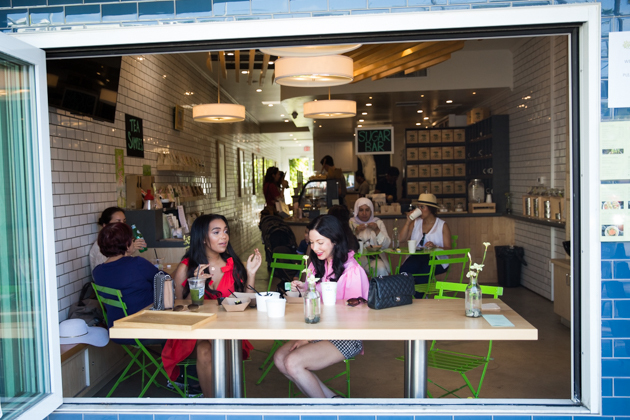 Today I’m sharing another favorite new café I discovered while wondering around Abbott Kinney with Mo. My addiction to Matcha tea has become quite rampant, so when I noticed this café pop up, naturally it was high on my list of places to try. 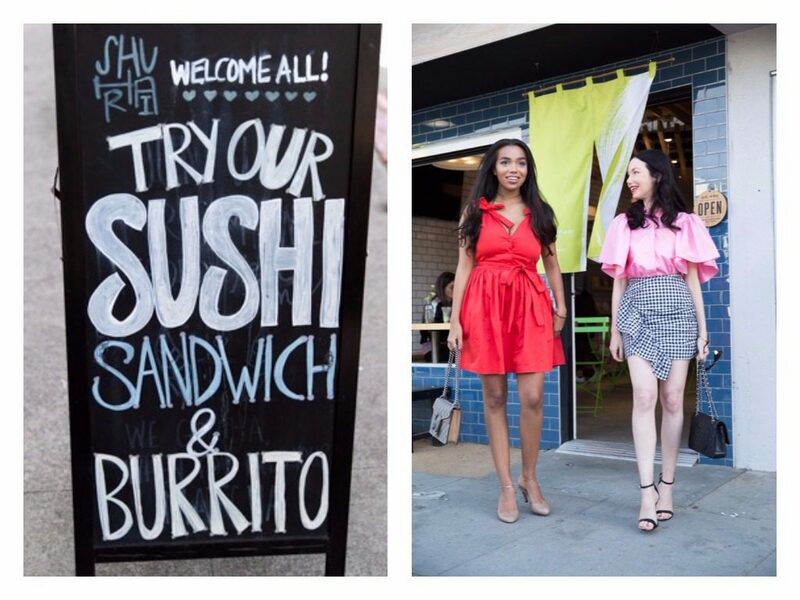 I invited my gorgeous friend Daphne to join me on a lunch date at Shuhari Matcha Café and let me tell you it did not disappoint! We started with tea while we looked over the menu. 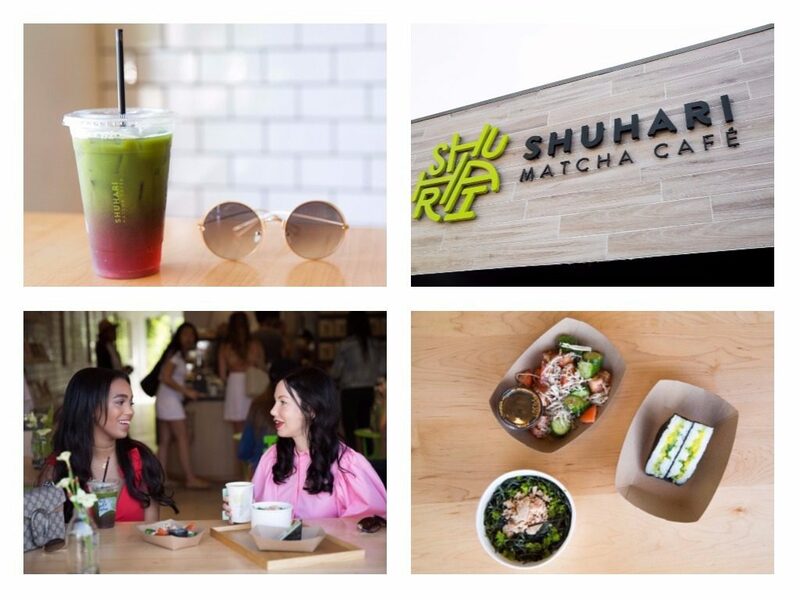 Shuhari offers a carefully curated selection of traditional Japanese teas, house-made Matcha sparklers and modern Matcha drinks like the Matcha Latte with almond milk that I had. They also serve organic coffee for those who prefer it over tea. 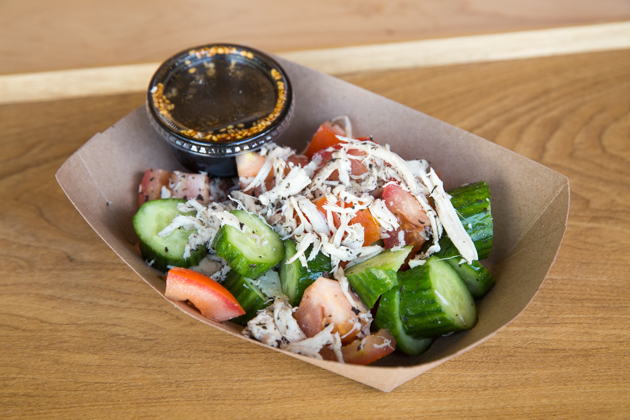 We added chicken to this refreshing Tomato and Cucumber Salad. Really wish I could have one of these Tea Rice bowls delivered right now. 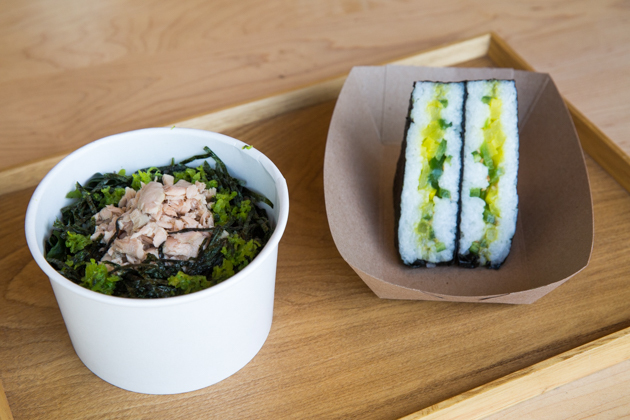 This “Ochazuke” or Japanese comfort food is a unique dish consisting of Umami filled hoji–cha soup poured over your choice of topping (we choose salmon), Japanese pickles, Nori, Seaweed and Rice. We also managed to snag one of the last Sushi Sandwiches that Shuhari had left for the afternoon. The cafe makes these fresh in the morning in three varieties (Spicy California, Yuzu Chicken and Avocado, Jalapeno and Tsukemono. So yummy, but you have to get there early as this portable lunch treat sells out fast! And of course we saved room for dessert! 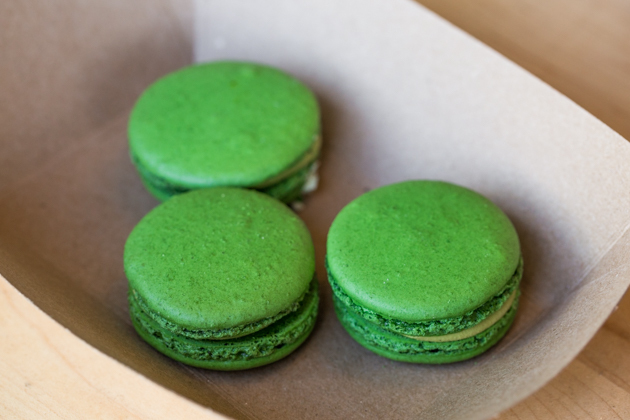 I am still dreaming over this Matcha Tea flavor. 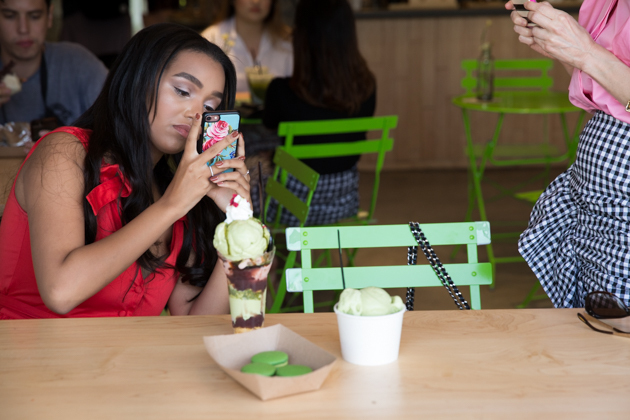 Hands down the creamiest and most delicious Matcha Ice Cream I have ever had! 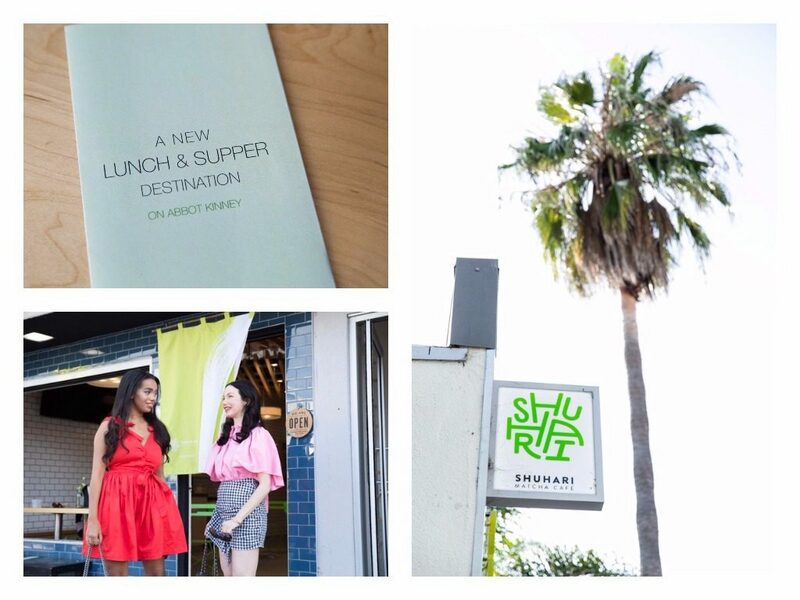 Most of the Shuhari Matcha Cafe menu is gluten-free and organic and vegan selections are available as well. If you’re lucky enough to live nearby you can have Shuhari delivered through GrubHub, Eat24 or DoorDash. Daphne just headed off to college and I am really going to miss this girl! Be sure to follow her on Instagram and check out her Insta Stories as well. 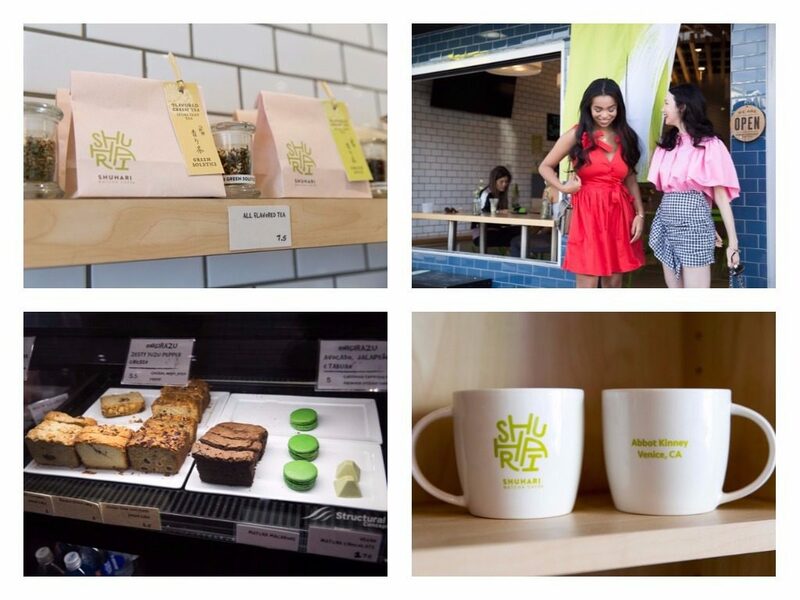 Shuhari Matcha Café also offers a selection of take home tea’s and pastries. 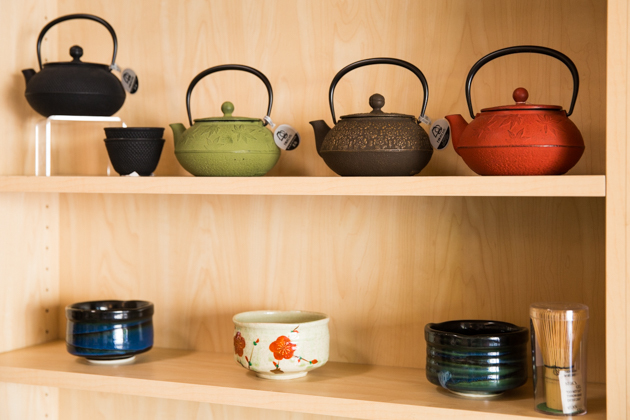 And a delightful tea pot selection. How perfect would these be for a gift? 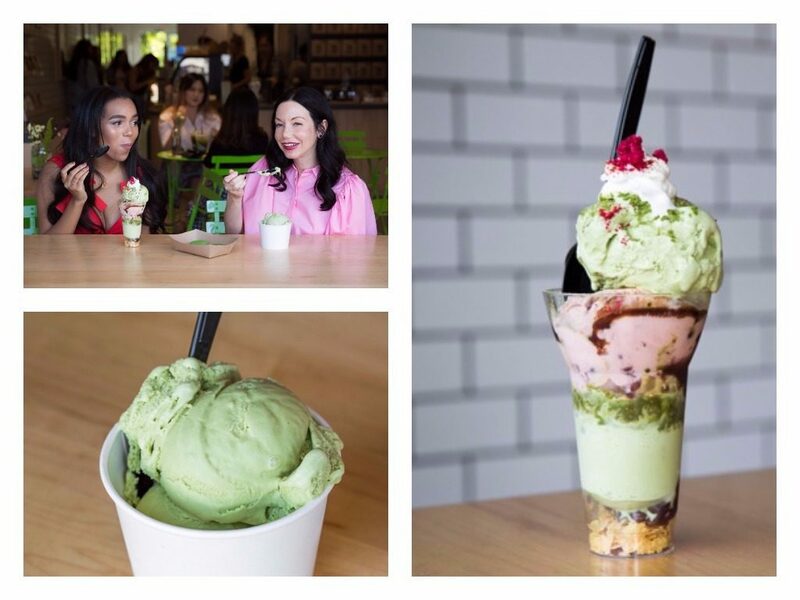 You can visit Shuhari Matcha Café at 1522 Abbott Kinney Blvd. in Venice Beach, CA 90291. 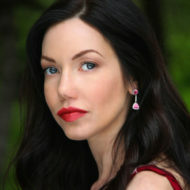 Visit Shuhari’s site for hours and delivery orders. This looks so nice. I will have to visit!